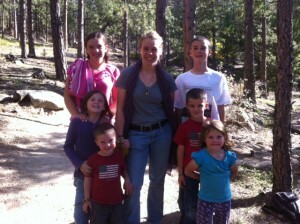 Here is a picture of Paige Davis and some of our kiddos. Paige is from California and goes to one of our fellow CPC churches. We have been enjoying getting to know her and showing her some of our beautiful Rocky Mountains! Thank you Paige for serving us and the Lord by coming along!